Order now for your best deal. Prices may rise more than $100 when sales goals are met. The Deal: See Pull Downs, bikes are available For selection, SEE PULL DOWN MENUS, for stock status; proceed through check out. Bikes will sell out fast, order now for best selection. The Process: When you order, your card is billed for the full amount. You'll get an auto-email the next business day. Fri/Sat/Sunday orders get an email on Monday. Weekends/Holidays are not counted as "days". Bikes come up to 90 percent assembled. Assembly is Easy. An 11 year old customer assembled their own bike. Check out his video: CLICK HERE. How much Assembly? CLICK HERE for sample assembly instructions and videos CLICK HERE for a special price on the full Video DVD/CD and Folding Mini ToolKit If you don't feel confident working on your bike, we suggest you take it to a local bike shop for final assembly & safety checks. The Giant Stance 27.5 base model is $1500+tax. It's a Single Pivot 27 speed Alivio bike and house brand/generic parts. Giant has NO 1X cranks, NO rear lockout, NO TCS Tubeless compatible wheels. TCS Tubeless compatible wheels are worth about $400-500 if you were to upgrade to these later. NOTE: All Pro riders use 1X Drivetrains and tubeless compatible wheels for very good reasons When converted to tubeless, tires are virtually flatproof and offer incredible grip and ride quality. If you have ridden one you know why you want one. 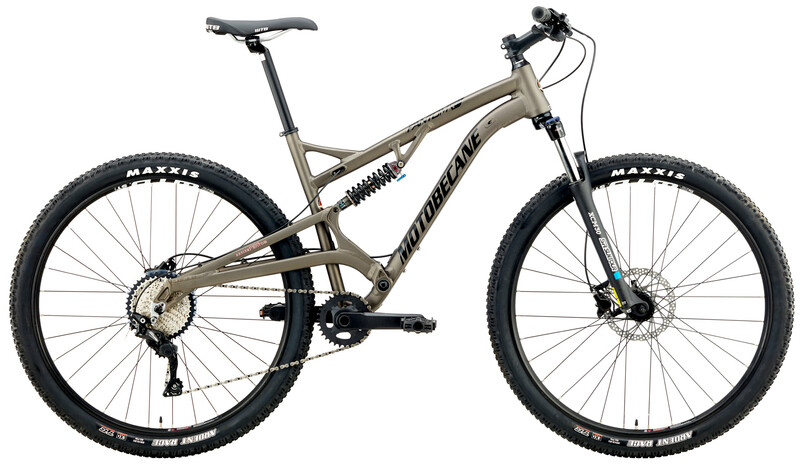 If you have ever wanted to try one, this is the best deal on a well equipped 27.5 / 29er full suspension bike with powerful Genuine SHIMANO Hydraulic Disc Brakes and front and rear lockouts. Get Tubeless tech rims now. Tubeless wheelsets of this caliber are normally around $400+ So this is an incredible deal: You are getting a complete full suspension bike with a top-quality TCS Rim wheelset. Get amazing technology, now! Shimano's drivetrain brings with it the legendary quality, durability and performance Shimano is known for, all packaged to meet the ever-evolving demands of today’s riders. One-By, also called 1X is a revolutionary drivetrain system that gives riders a super wide rear gear range with an advanced wide range rear derailleur that eliminates the need for a front derailleur. The result? A super light, super efficient and lower maintenance drivetrain. Virtually ALL Top Professional MTB riders have 1X drivetrains. Now you can too! Smaller sizes get the 27.5 rims, Larger get 29er rims. This means you get your best possible handling bike.